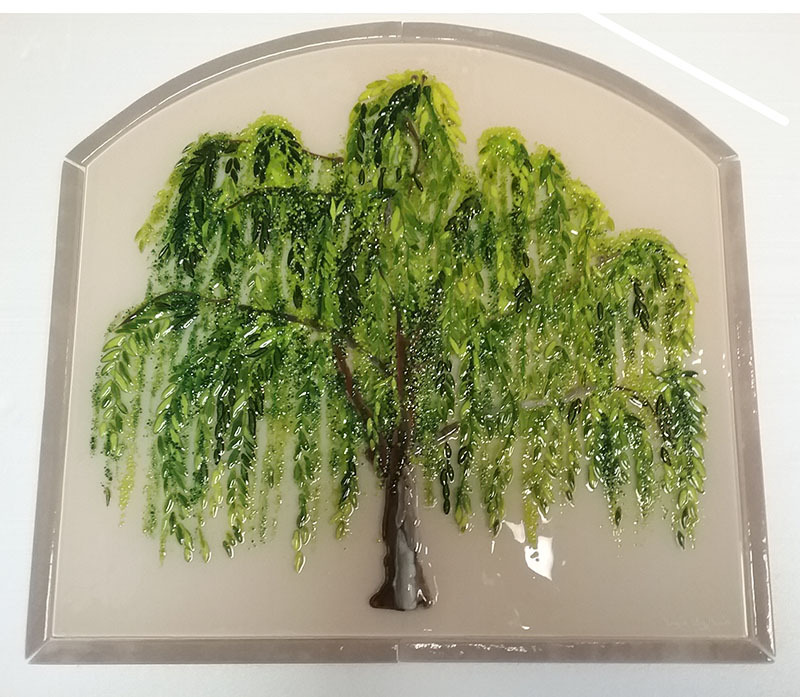 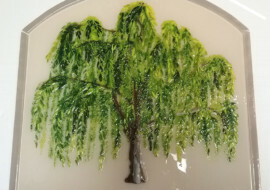 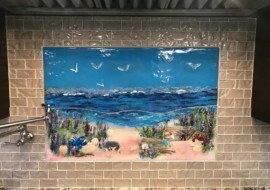 From our 12 years of experience we see many recurring themes that are popular with our clients, including Tuscan landscapes, dogwood branches, beach scenes, florals, abstracts, geometric, koi, bamboo, tree of life. 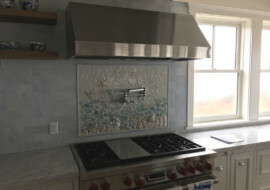 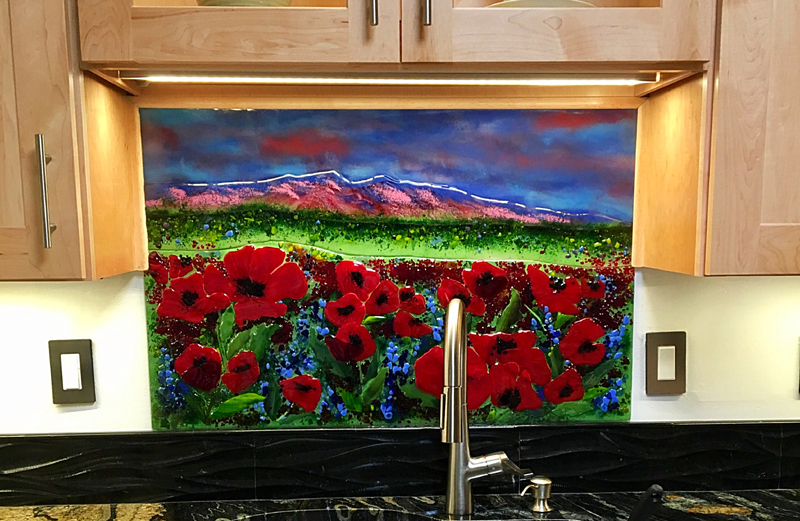 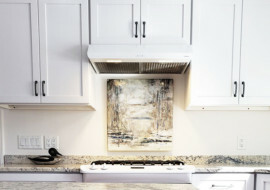 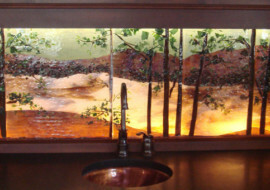 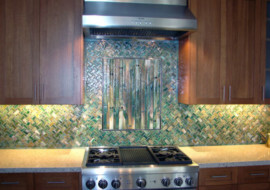 Check out the gallery below with over 85 examples of our glass kitchen backsplashes. 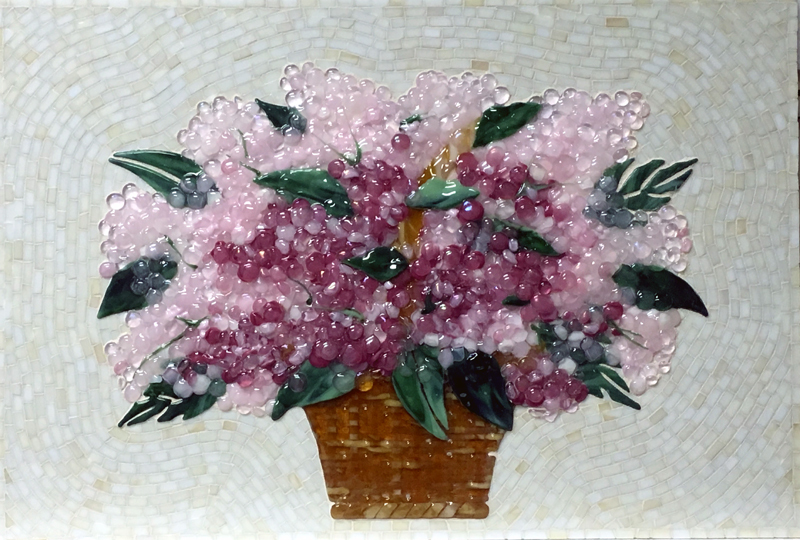 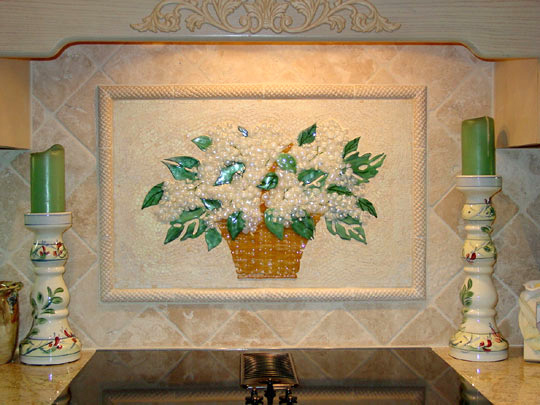 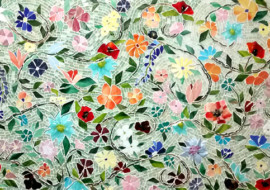 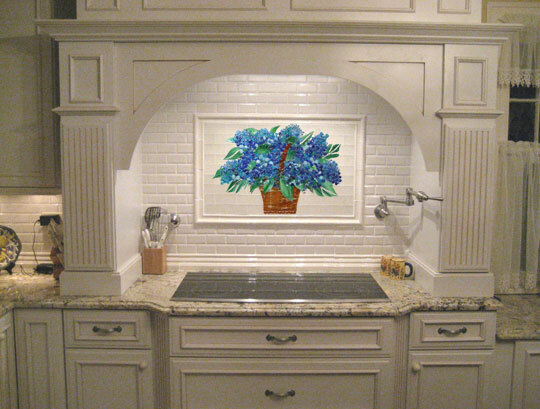 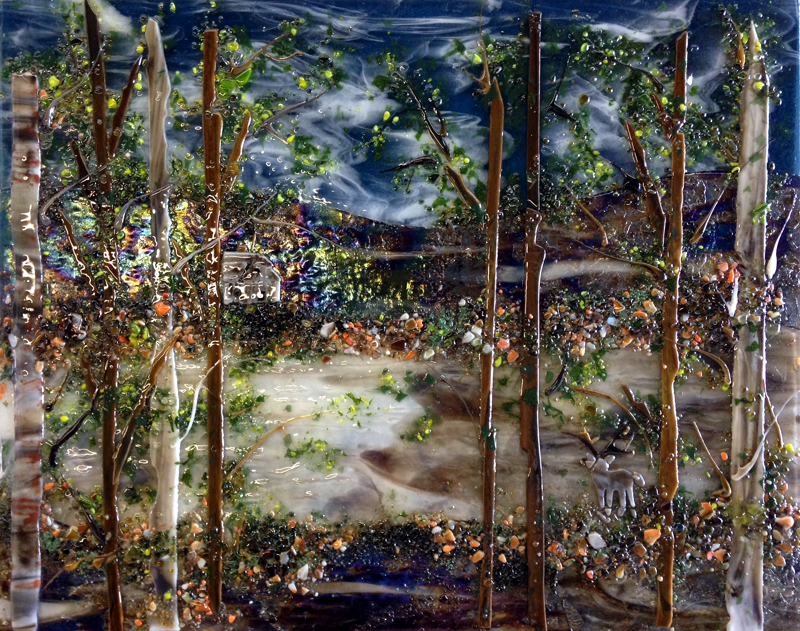 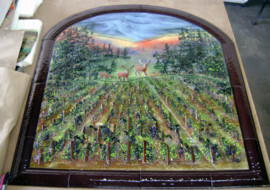 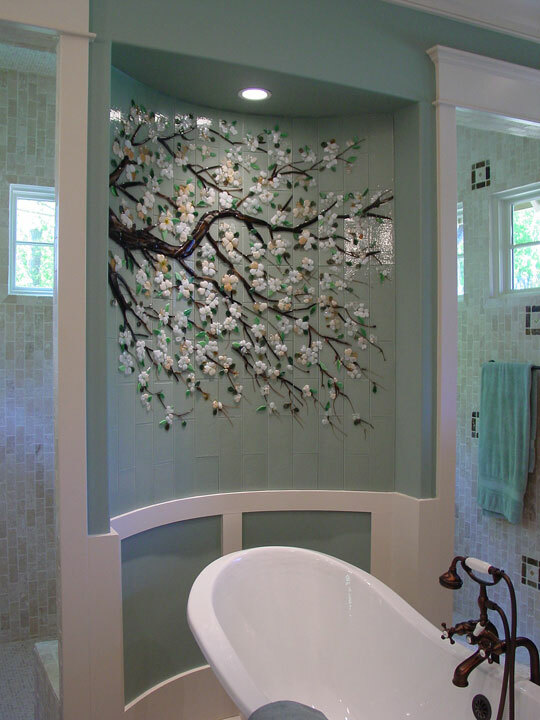 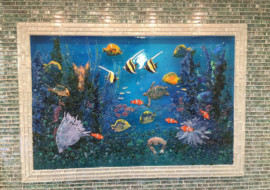 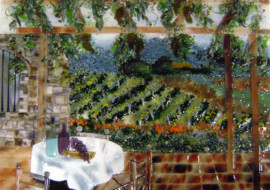 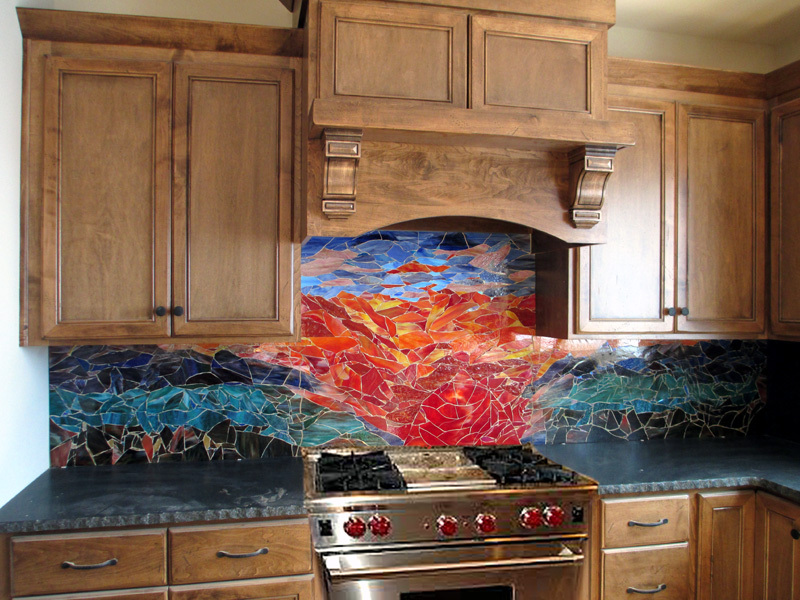 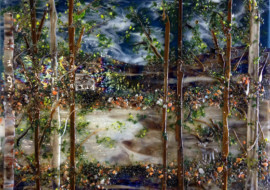 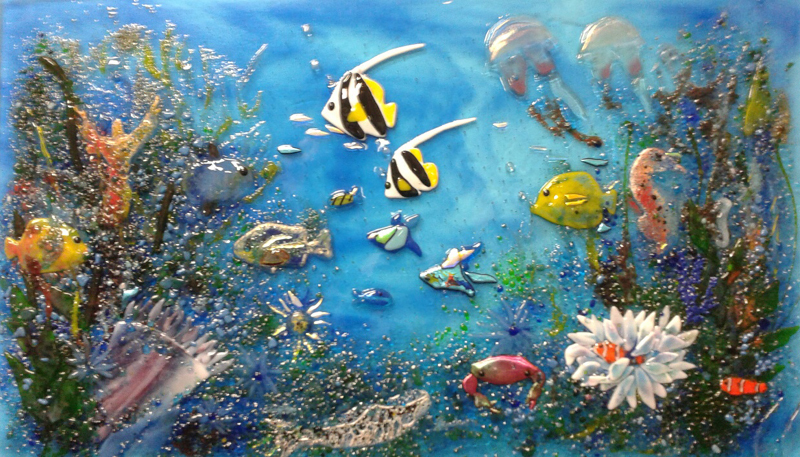 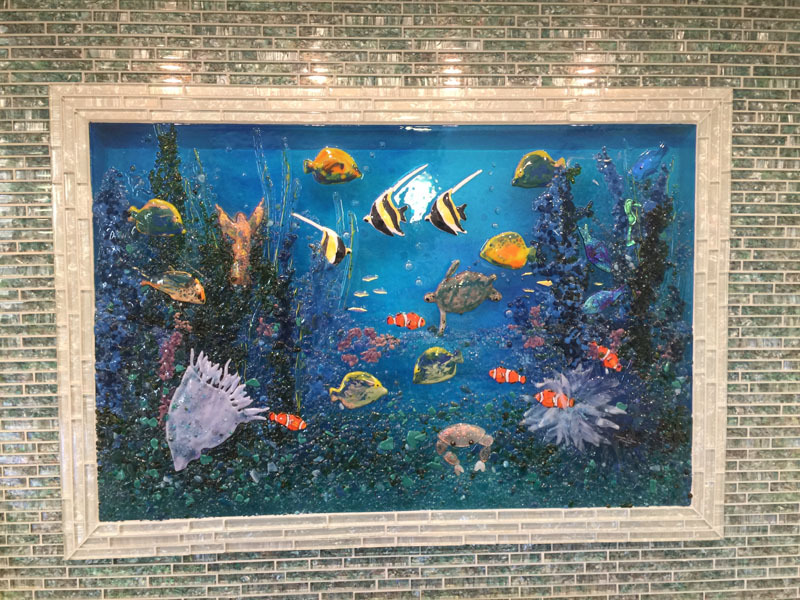 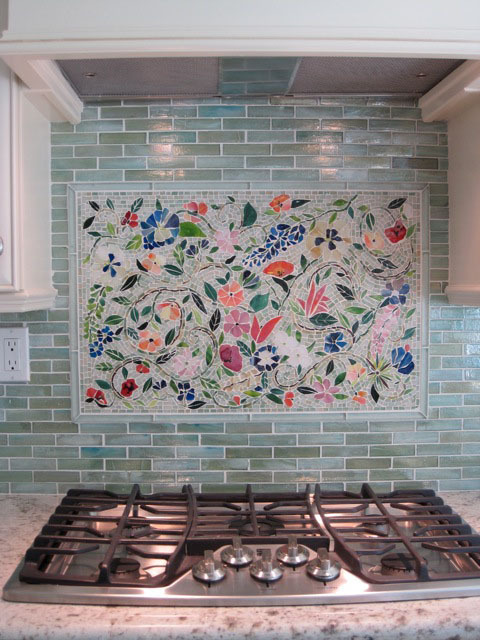 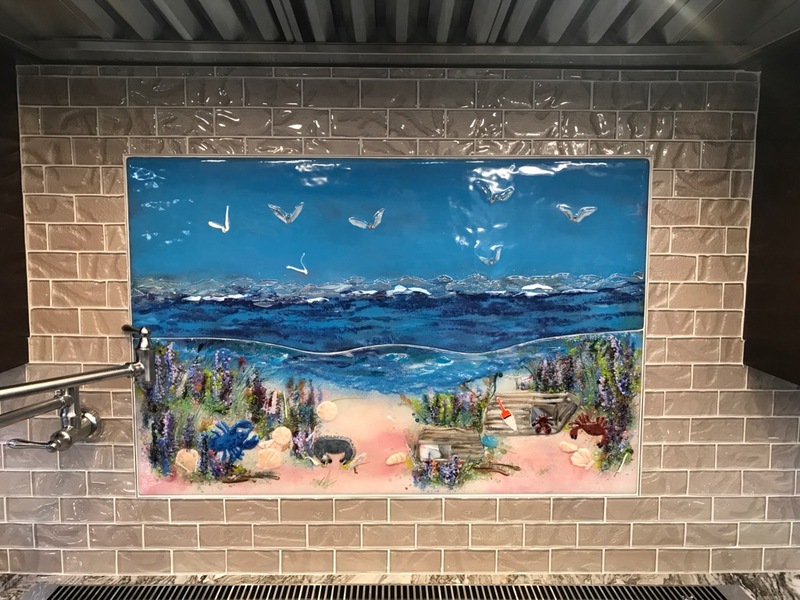 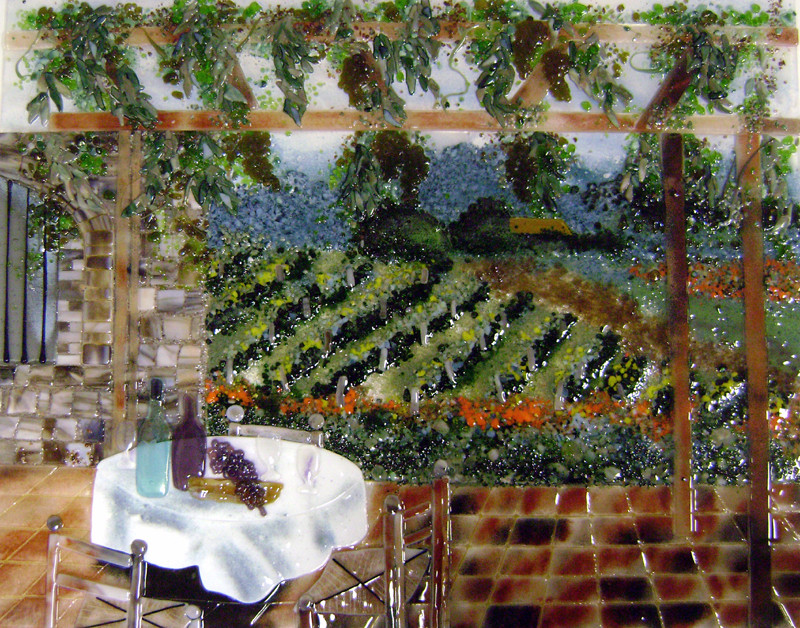 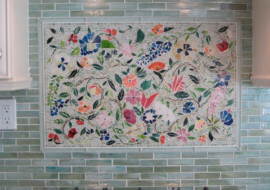 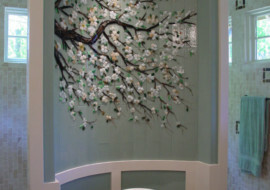 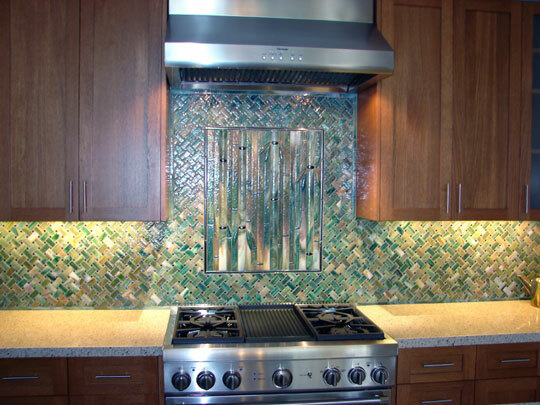 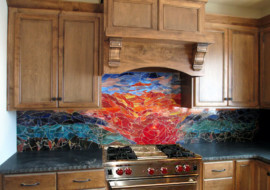 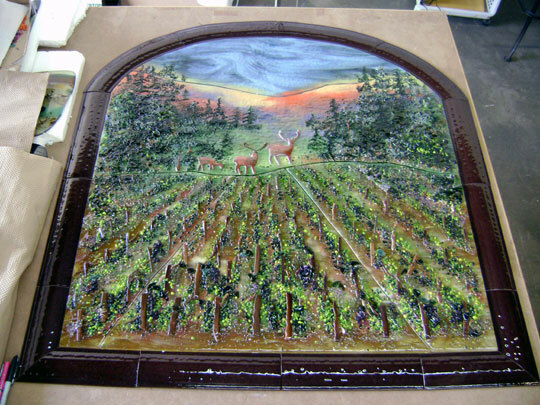 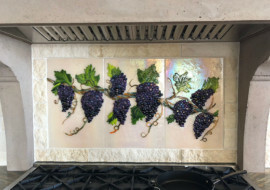 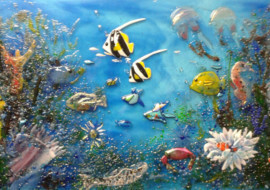 Each glass tile kitchen backsplash places a great emphasis on artisty and created by skilled American artisans. 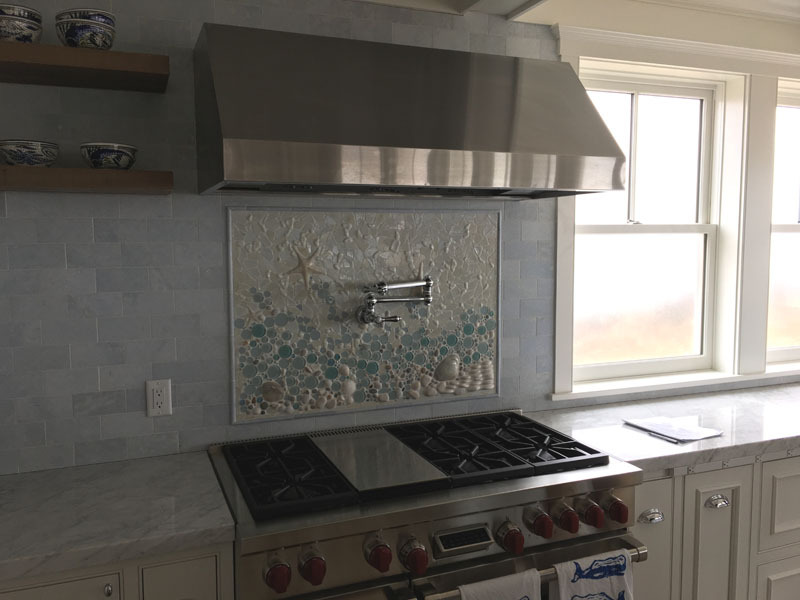 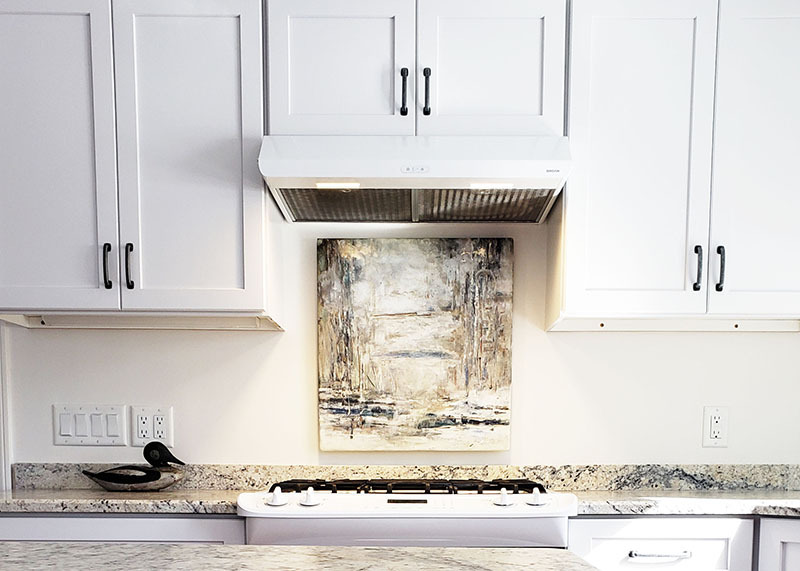 We can be a resource to you as you design and construct your kitchen and, particularly, the backsplash and its focal area. 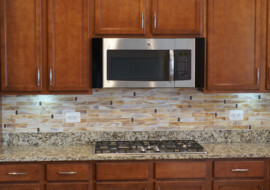 We can coordinate our work with homeowners, kitchen and interior designers, contractors, tile setters and others involved in this very important project. 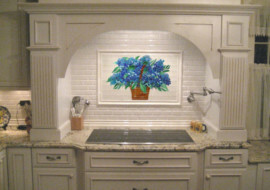 We can work from your design ideas or any photography memory. 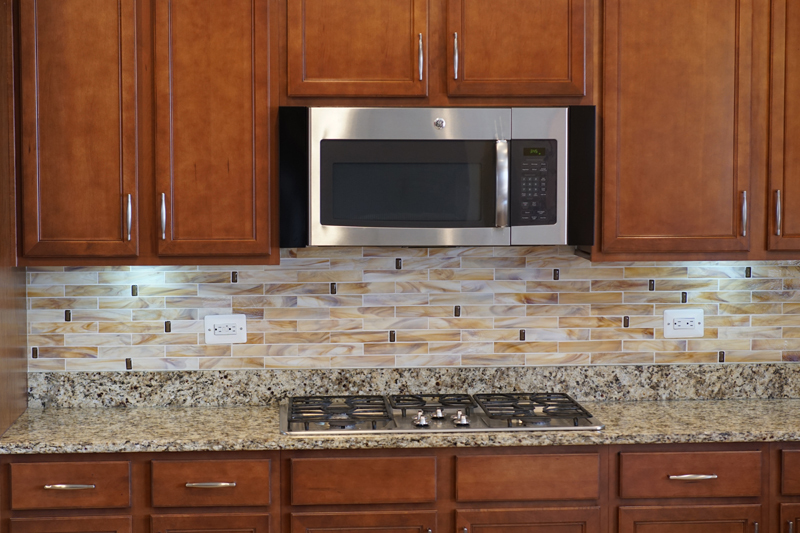 Design coordinator (SAUNDRA) can make some suggestions. 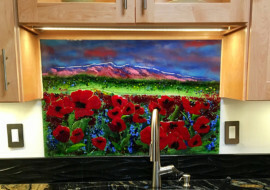 Visit her watercolor website at http://www.homeportraitsbysaundra.com/ We are also able to create digital designs so you can get a sneak preview of your vision. 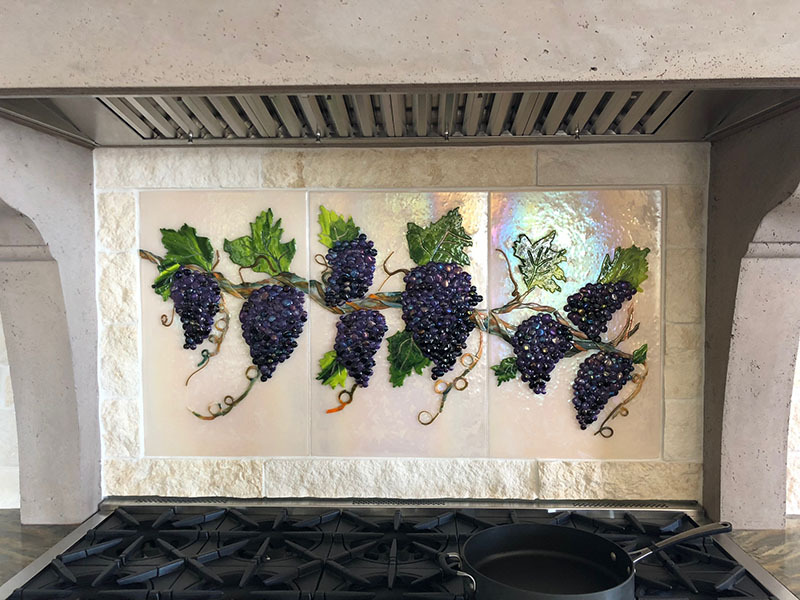 Simply send us a photo of your existing kitchen area and we will digitally insert our pattern onto your backsplash area and email it to you. 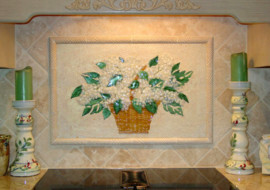 Put in your request through our Contact page.